From 2-5pm, faithful patrons of The Joint Eatery in Sherman Oaks filed in to indulge in their favorite dishes and sipping on their choice refreshments. 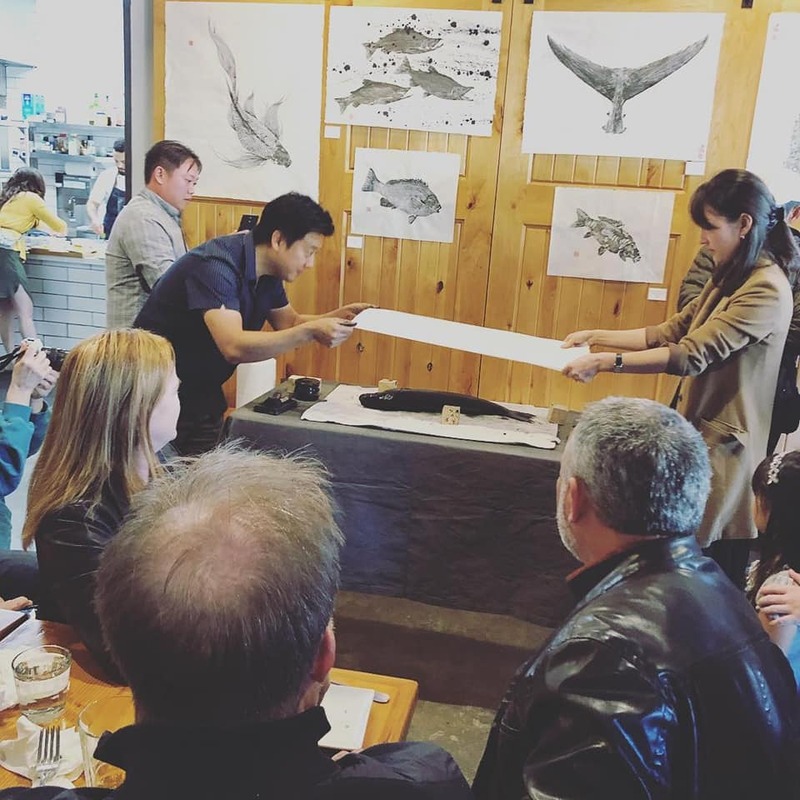 But this time, the walls turned into an art gallery while we were showcased by demonstrating our most fundamental process of gyotaku printing. Quite a few sales, but more importantly, a lot of new open doors for the new year! Thank you everyone who attended and for your support and encouragement! !